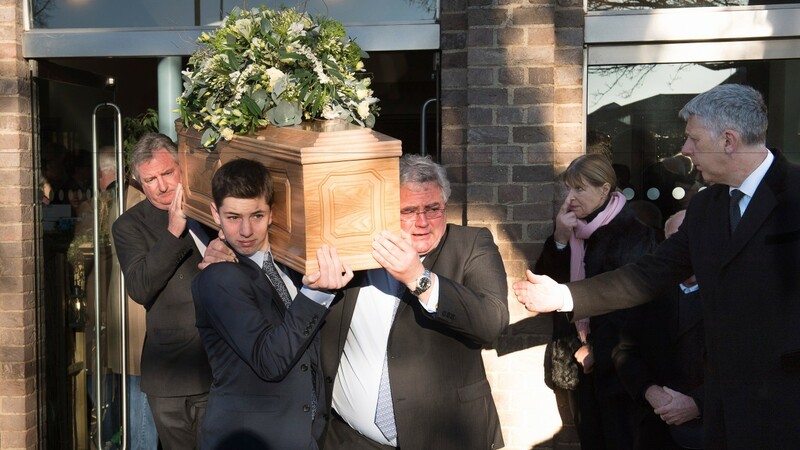 From far and wide they came, a host of the most recognisable faces in the history of the turf, to say a painfully premature goodbye to one of their own in Walter Swinburn. They gathered at Our Lady Immaculate and St Etheldreda Catholic Church in Newmarket and packed the place out, with dozens forced to stand at the back such was the desire of racing's great family to be there. Plenty have spoken of their disbelief at the loss of Swinburn since he died on December 12 aged 55, but there at the front was the jarring confirmation – a modest coffin containing the body of the man forever remembered as the boy who rode Shergar, adorned with a simple bouquet and a riding helmet carrying the light blue colours of Maktoum Al Maktoum. Pictures of that famous, childlike face looked out upon a congregation that included many of those who contributed to or simply looked on in awe at his remarkable life. Trainers such as Dermot Weld, William Haggas, Michael Bell and Roger Varian came, as did jockeys past and present including Willie Carson, Mick Kinane, Johnny Murtagh and Jamie Spencer. Former England captain Bryan Robson paid his respects and so too did many of the writers and broadcasters who so often sought the words to convey Swinburn's brilliance in the saddle. 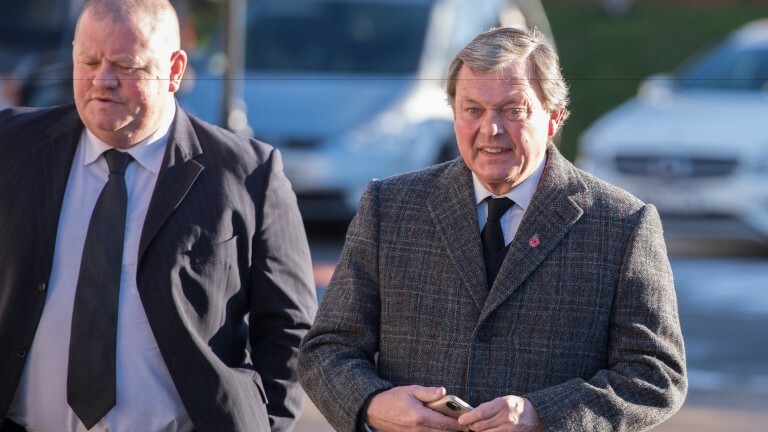 It fell to Swinburn's good friend and former agent Michael Haggas to sum up the memories shared by those contemporaries and he recalled a natural horseman, supremely confident on the track but very much the opposite off it. "His competitive nature was something that shone through in everything he did," said Haggas. "He was a natural sportsman and as a winner he was gracious, invariably deflecting praise towards others and shunning the limelight. "He had a swagger and was totally confident in his ability to deliver on horseback, but that swaggering confidence was left behind in the weighing room with his silks – the Walter I and so many of us here knew was humble and shy. "There is no doubt he was happiest on a horse and never found anything to replace the buzz of riding. Having said that, his family was always his first topic of conversation and he was as proud of their achievements as they are of his. "People have commented on him being a troubled soul and having his demons. It would be wrong not to acknowledge that, but with the support of his family he fought those demons with dignity and courage." The requiem mass was led by Father Simon Blakesley, who gave voice to the question on the minds of so many. 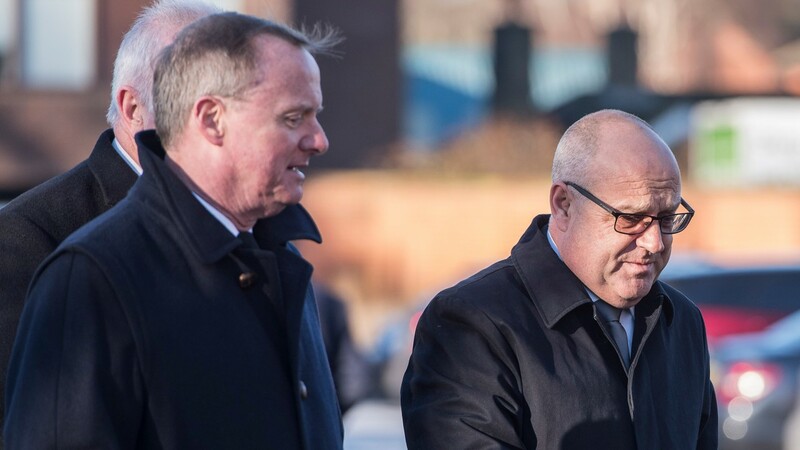 "Plenty of us here will be asking what God is playing at," said Father Blakesley, as he encouraged the mourners to talk of Swinburn in the present tense. One thing for certain is Swinburn's spirit lives on, at the very least in the hearts and minds of the people his exploits touched – those in the church who so often shared in his glorious victories, as well as those forced to play second fiddle to his greatness. The riders he competed against and the many he inspired, as well as the family and friends who knew him best of all. He lives too in the memories of the millions of racing fans who will never forget Shergar, Shahrastani, Lammtarra, or so many others, and who follow the sport to this day having been hooked by the young man with the greatest of hands. 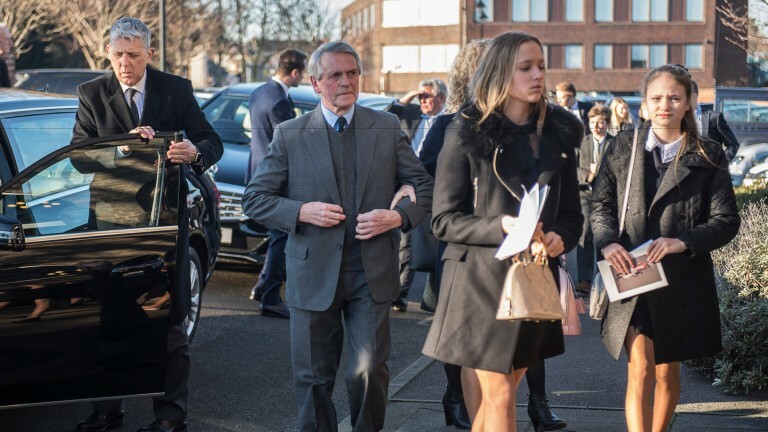 The choir sang for the choirboy one final time as pallbearers, including friend and Godolphin chief executive John Ferguson, slowly carried Swinburn's coffin from the church to the strains of You'll Never Walk Alone. A painting of Swinburn in the order of service was accompanied by the poignant caption 'weighed in' and a poem read: "Now though he will not ride with us again, his merry spirit seems our comrade yet. "Freed from the power of weariness and pain, forbidding us to mourn or to forget." When it comes to the dazzling, beguiling talent that was Walter Robert Swinburn, of the latter at least there is precious little chance.